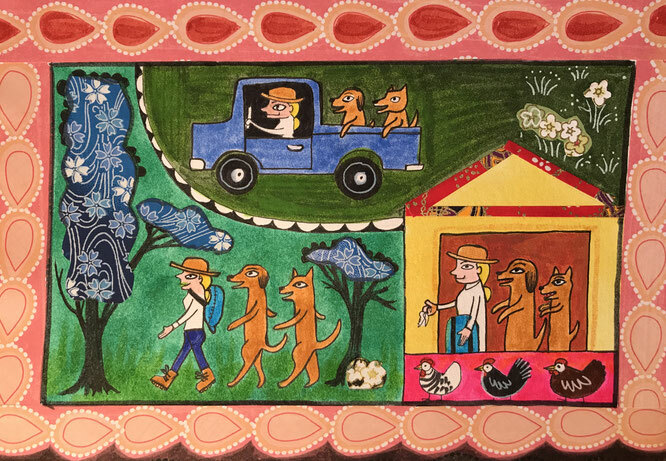 In conjunction with the exhibition " Tell Me the Whole Story from Beginning to End: The Ramayana in Indian Painting" at the Michael C. Carlos Museum at Emory University, I have prepared this studio project lesson plan on Indian Miniatures. Enjoy! 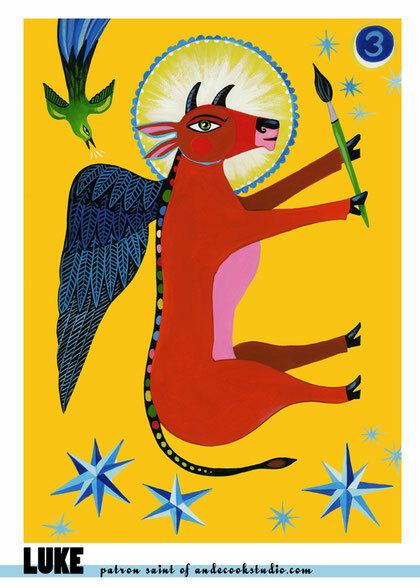 This is a postcard featuring Luke the winged ox, patron saint of artists, doctors, and this website. Share your good taste in fantastical bovine with your favorite pen pals! Hi-res 5x7 card for you to print and send. Brrrrrrrrrrr! 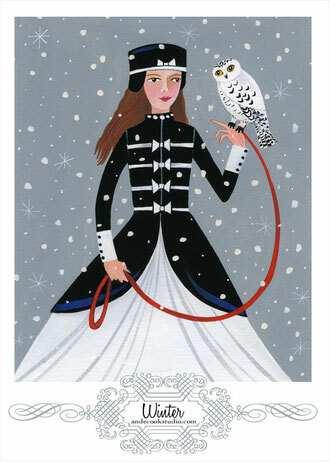 I love wintertime, wearing velvet finery, strolling around in the snow with my best owl. Wait, no, it's like, 65 degrees outside. I can dream! You can download and print this card for the holidays, or for winter correspondence. I add a little shake o' glitter to make mine more festive. No time? You can order them from my shop. They'll be perfectly presented: sparkly; festive and ready to mail. Mounted on silver or charcoal cards. Ah, yes. 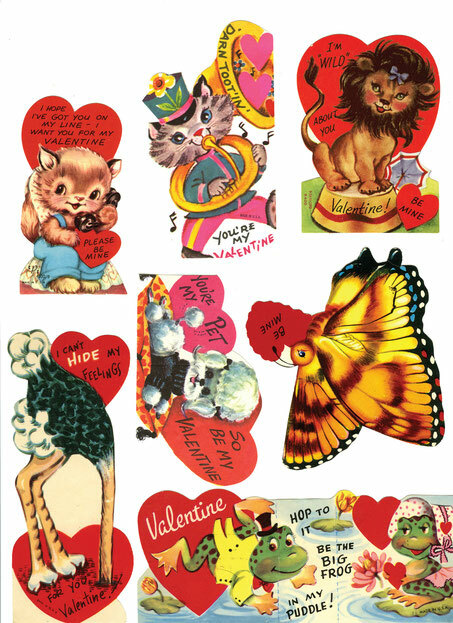 The cute valentines they used to make before they all became advertisements for movies, video games and cartoons. Print them, cut them out and give! This is a game and an activity. It's a search game that challenges you to make your own. Perfect for anyone who loves to draw, rainy days, and long car trips. 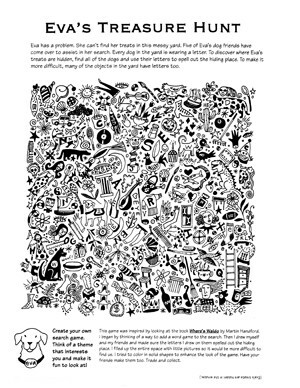 Originally published in School Arts Magazine, the publisher of my book "Art Starters"